Well-designed, intensive learning programmes, small classes and excellent teaching – our key resources in helping you to achieve rapid progress. 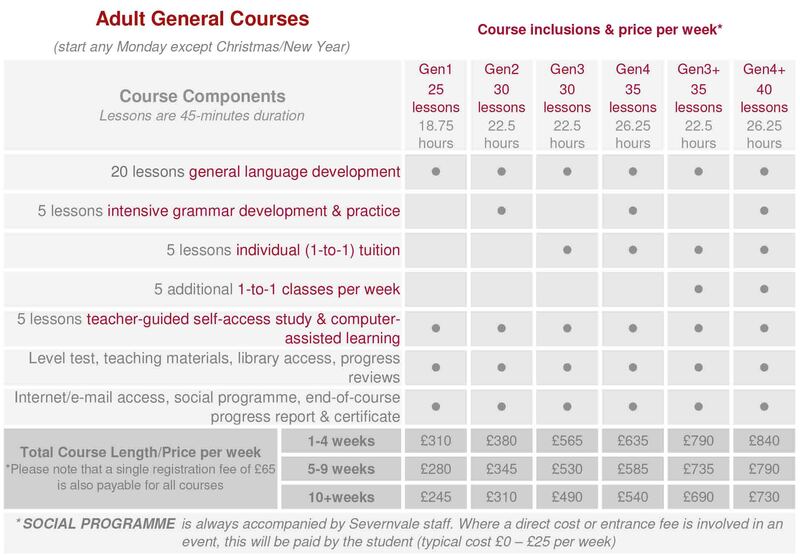 The general courses are skills-based and develop your ability to communicate accurately and confidently in English. Additional grammar, 1-to-1 and examination lessons are available for those with specific needs or limited time to study. The courses we offer suit those with academic English requirements as well as satisfying general and basic professional English demands. Intensive English exam courses are available for all the exams listed in the table below including specific IELTS preparation. Severnvale is an examining centre for Cambridge ESOL examinations FCE, CAE and CPE; TOLES; and BULATS. We have wide experience preparing students for these and all the other exams listed in the table below. 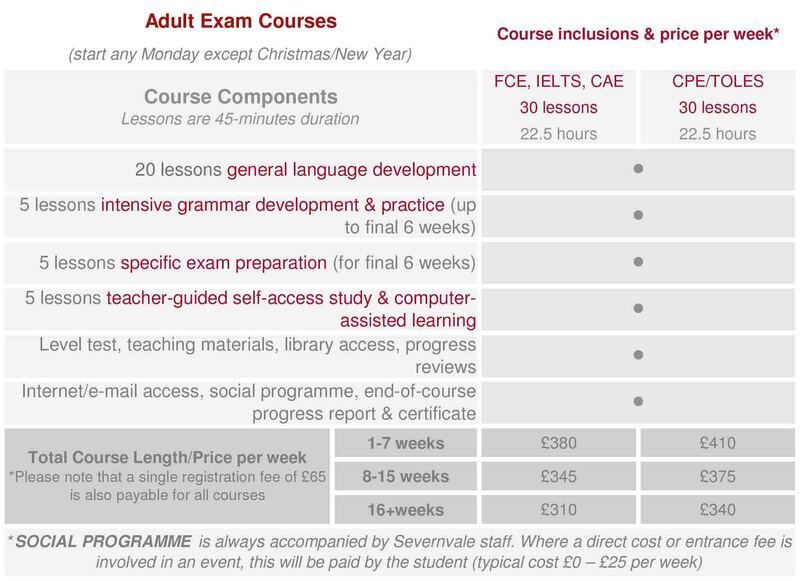 Severnvale is an examination centre for the Cambridge suite of exams (including FCE, CAE, CPE and BULATS). The FCE, CAE and CPE exams are scheduled for March, June and December. The BULATS exam is available throughout the year on request. 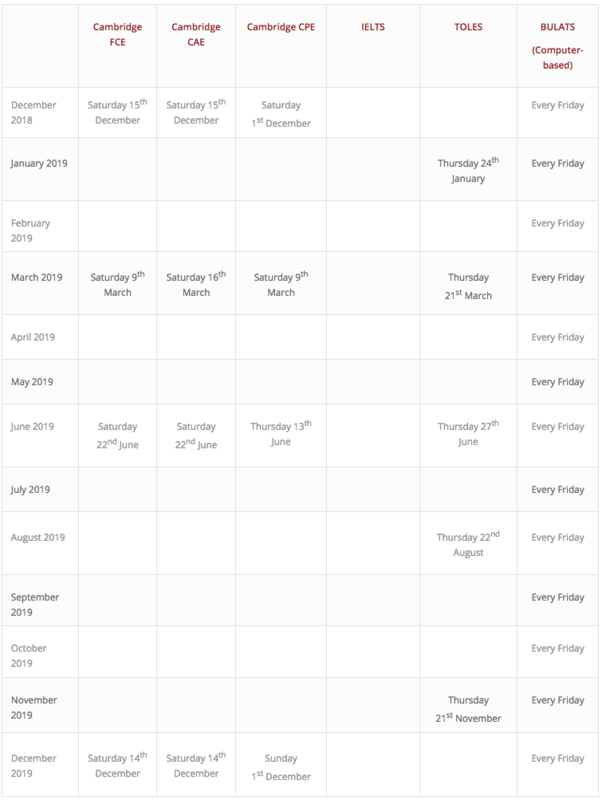 In addition it is possible to take the Test of Legal English Skills (TOLES) exam on 5 dates a year (January, March, June, August and November). If you have any questions or would like to book onto an exam please contact our exam team.